This 5* hotel was the first ever Sofitel hotel to be opened in 1964 and it remains a true institution in the centre of Strasbourg. 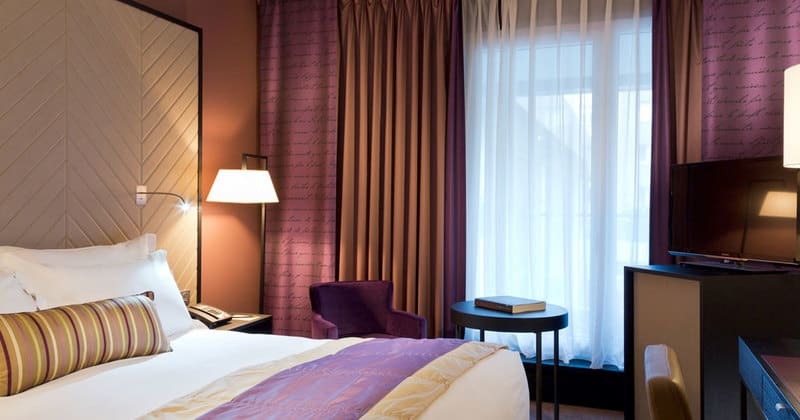 With its fine hall and sparkling chandeliers, its tree-lined terrace and its sophisticated 1940’s style bar, the Sofitel Strasbourg Grande Ile is an oasis of calm in the bustling city centre. 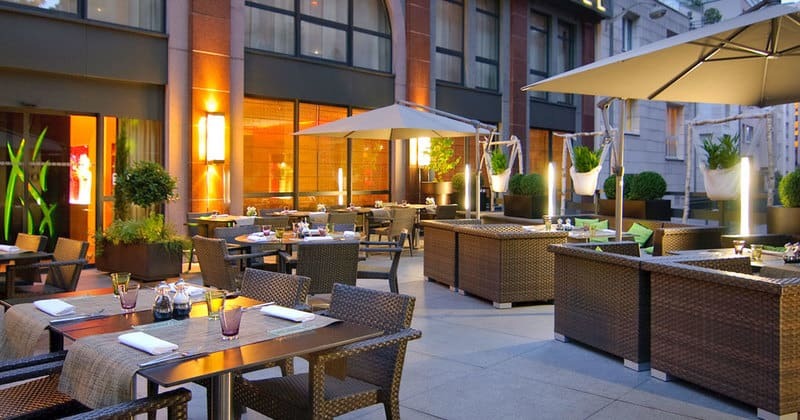 Sofitel Strasbourg Grande Ile benefits from a superb location in the heart of the historical centre of Strasbourg, which is a UNESCO World Heritage site and is a five minute walk from the luxury boutiques and main tourist attractions . The train station is 15 minutes from the hotel on foot and for those arriving by car, a private garage with valet service is available. Amongst the hotel’s numerous facilities are a gastronomic restaurant with private terrace, a trendy lounge bar evoking 1940’s glamour, a Clef d’Or concierge, a business centre, a fitness room and perhaps most interestingly, a carefully-tended vineyard! Breakfast is served daily in the form of a hot and cold American buffet. The 153 rooms and suites have all recently been renovated and are split into five categories from Classic to Suites. Decorated in shades of red and gold, each room makes reference to the famous Oaths of Strasbourg and are stocked with Hermés bath products as well as a Bose sound system with an iPad dock. The 17 square metre Classic rooms also have LCD TVs, a workspace, a mini-bar and an individual safe.